POOL: 50 Meters, 9 lanes, Colorado timing system and 10 lane digital readout score board with ample locker room space and balcony seating for spectators; Continuous warm-up and warm-down pool available in the 6 lane instructional pool. The depth of the pool at both the start end is 12 feet. The depth of the pool at the turn end is 4 feet. The competition course has been certified in accordance with 104.2.2C (4). The copy of such certification is on file with USA Swimming. RACING STARTS:Any swimmer entered in the meet must be certified by a USA Swimming member coach as being proficient in performing a racing start or must start each race from within the water. When unaccompanied by a member-coach, it is the responsibility of the swimmer or the swimmer’s legal guardian to ensure compliance with this requirement. Sunday: Morning session (10 & Under & 11-12 Age Groups) warm-up will be 7:30 – 8:15 a.m., with boys and girls combined. Warm-up will be split by gender, age group or team if the average number of swimmers per lane is scheduled to exceed 30 swimmers per lane, into a minimum of two groups, in which case warm-up shall be a minimum of thirty minutes each. TEAM SUPERVISION: Teamswho are entering swimmers but will not have a coach at the meet should arrange ahead of time for another coach to supervise their athletes. Swimmers without coach supervision must contact the Meet Director or Meet Referee to be assigned to a coach on deck. RETURN TO PLAY LAW:Under the Ohio Return to Play Law governing concussions, all coaches and officials (in state or out of state) are required to have proof of training in concussion signs and symptoms. This training is available for free and can be found at http://www.NFHSlearn.com/self_courses. All coaches and officials are encouraged to take this training. It is your responsibility to take care of this requirement. ENTRY FEES: Individual events $5.00; Relays: $8.00; plus a $3.00 per swimmer LESI surcharge. ONLY UNATTACHED SWIMMERS MAY ENTER INDIVIDUALLY. There is a $2.00/swimmer handling fee for entries not furnished in an electronic file. Make checks payable to Shaker Swimming. ENTRY LIMITATIONS: Swimmers may compete in 3 individual events/day exclusive of relays. Swimmers may compete in as many relays as needed per day. Age as of May 5, 2019. ELIGIBILITY: Swimmers must be current athlete members of USA Swimming. Coaches must be current coach members of USA Swimming and must check in on each day of the meet. All coaches must display the deck pass (wristband) issued by the meet host. On deck USA Swimming athlete registration will not be available. Age is as of the first day of the meet, May 5, 2019. QUALIFYING TIMES: THERE ARE NO QUALIFYING TIMES FOR THIS MEET. Please enter an estimate for any relay entries that do not have times. SWIMMERS WITH A DISABILITY: Entries for swimmers with a disability should be handled in the following manner: (1) enter the swimmer in the Hy-Tek database (or on the regular entry form); (2) list in the email accompanying the Hy-Tek entry file (or on a separate sheet of paper) the name of the swimmer, the stroke(s)/distance(s) s/he wishes to swim, the entry times, the day/session s/he wishes to swim the event(s), and the manner in which s/he prefers to be seeded (with a longer distance or with a different age group); and (3) provide any information about special accommodations needed by the swimmer. The final determination of seeding will be made by the Meet Referee after consultation with the swimmer and his/her coach. CONDUCT: The meet will be conducted according to the rules set forth in the current USA Swimming Rules and Regulations and the Lake Erie Swimming Policy & Procedures. 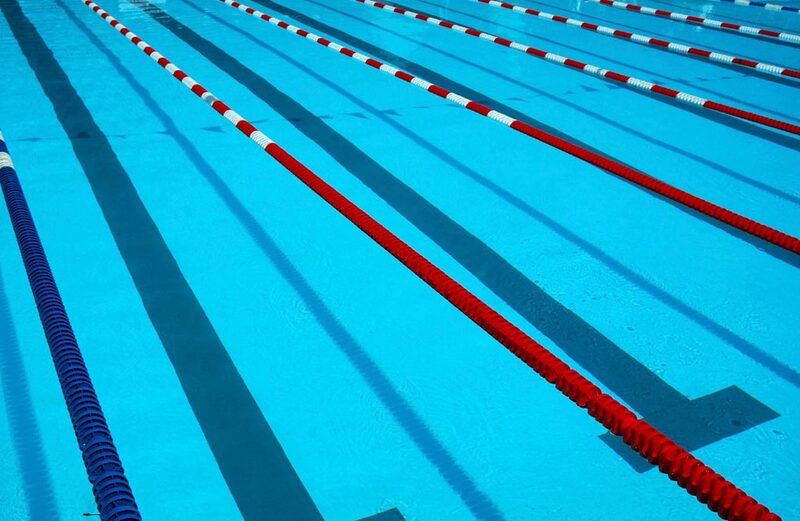 Events will be contested in a 50-meter pool. All Events are timed finals. SEEDING & CHECK IN: This is a deck seeded meet. Allswimmers must check in for all of their events no later than 30 minutes prior to the start of the session. Swimmers who fail to check in for their events will not be seeded. Heat and lane assignments will be posted on deck and in the spectator area. Relay cards must be turned in upon call in order to be seeded. In accordance with 102.1.4, events may be seeded together but scored separately. CLERK OF COURSE: A Clerk of Course will not be provided. Teams may designate a representative to assist their swimmers age 8 & younger. Please contact the meet host for a deck pass. Swimmers without coach supervision must contact the Meet Director or Meet Referee to be assigned to a coach on deck. SCORING: No Scores kept for this meet. AWARDS: All awards must be picked up at the meet. 12 & under Individual Events as follows 10 & U, 11-12 by gender. Medals for 1st, 2nd and 3rd; ribbons for places 4-10. No awards will be issued for swimmers aged 13 & Over. DRONES: Operation of a drone, or any other flying apparatus, is prohibited over the venue (pools, athlete/coach areas, spectator areas and open ceiling locker rooms) any time athletes, coaches, officials, and/or spectators are present. RESULTS: Will be posted on www.lakeerieswimming.com. Teams may request a backup at the conclusion of the meet. PARKING: CSU charges for event parking ( est. $10 per day). Parking lots are available at the corner of Chester and E. 22nd Street or on Euclid Ave and E. 24th Street. City of Cleveland Meter parking is free after 6:30 p.m. on Friday and all day Saturday and Sunday on Chester Avenue. Cleveland State University Meter parking is available on a very limited basis. TIME TRIALS: Will not be offered.